* Conventional hood: This term is used to describe a constant air volume (CAV) hood, an older, traditinally less elaborate hood design used for general protection of the laboratory worker. 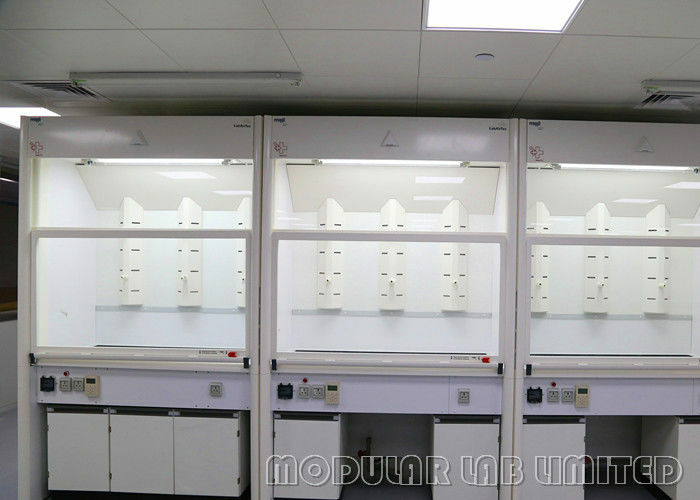 Because the amount elaborate hood design used for general protection of the laboratory worker. Because the amount of exhausted air is constant, the face velocity of a CAV hood is inversely proportional to the sash height. That is, the lower the sash, the higher the face velocity. CAV hoods can be installed with or without a bypass provision which is an additional opening for air supply into the hood. 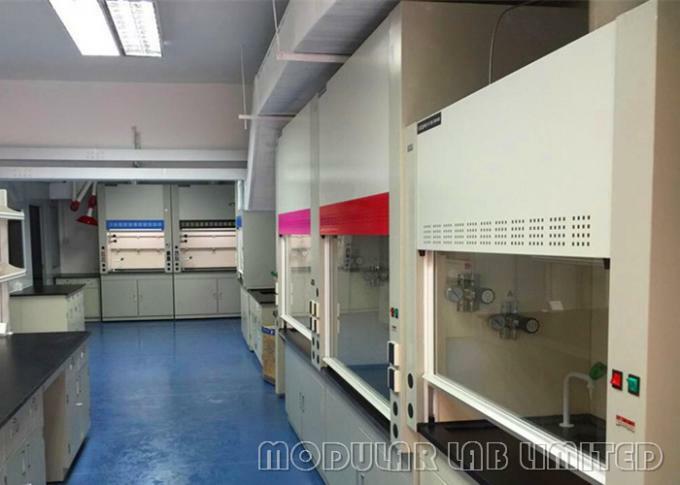 Conventinal bypass fume hood: the bypass fume hood is an improved variation on the conventional fume hood. The bypass is located above the sash facce opening and protected by a grille which helps to direct air flow. * The bypass is intended to address the varying face velocities that create air turbulence leading to air spillage. The bypass limits the increase in face velocity as the sash nears the fully closed position, maintaining a relatively constant volume of exhaust air regardless of sash position.